At Satoyama Jujo, we believe that art can foster creative thought. Every time you visit, you are sure to discover something new. Aiming to redefine luxury, we offer our guests an experience they can have nowhere else. Enjoy fully organic meals where the focus is on letting the natural ingredients speak for themselves. Variety of unique and compelling experiences you can only have here. The Minami-uonuma region is the destination for nature, sake, natural hot springs and art projects. 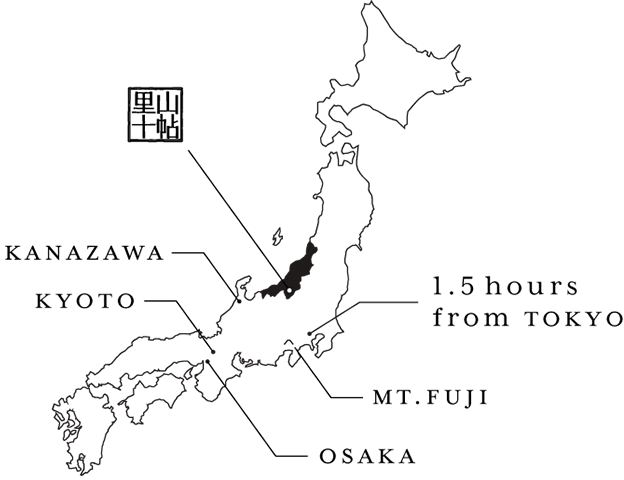 Once you arrive in Tokyo, you will be surprised to find that Satoyama Jujo is just one hour and 20 minutes away.